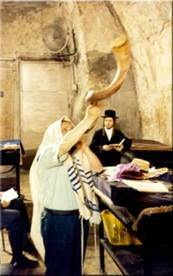 The connection of the Haftorah to the Parsha: This week is the sixth of the “Shiva D’Nechemta”, the seven weeks of comfort that begin following the fast of Tisha Be’av and run until the Shabbat before Rosh Hashanah. During this time, one’s concentration should be on repentance, and improving one’s behavior. Therefore, there is no direct connection between the Parsha and the Haftorah. 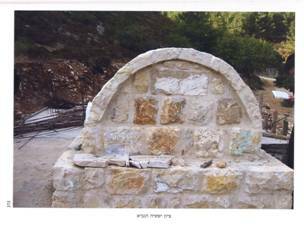 The storyline of this week’s Haftorah: “Kumi Uri Ki Va Oraich” “Arise! Shine, for your light has arrived and the glory of Hashem has shined upon you. ” The Haftorah begins with Yishayahu ~ Isaiah the Prophet instructing the people of Israel to rise up and shine, because the light of Hashem will be shining upon them. Even though darkness will fall upon the nations of the world, the Jewish people will be a beacon of light to the nations of the world. There will be a great ingathering of dispersed Jewish exiles that will bring with them great wealth. Hashem will bless Israel and many miracles will happen. Things will change such as: bronze replacing gold; iron replacing silver; and stone replacing iron. Peace and righteousness will prevail while violence and destruction cease to exist. Neither the sun, nor the moon will be needed for light, since Hashem will be our light. The Haftorah concludes with the statement that “Hashem’s people are all righteous. They will inherit the land of Israel forever” and have tremendous blessings of abundance. As we read this week’s Haftorah, we should remember that although it was written over 2600 years ago, it is about a future time: a time that is called the “Yemai Hamashiach”, the Days of the Messiah. Born circumcised in the year 620 B.C.E. (7th century) about 2600 years ago to his father Amoz, also a prophet. They belonged to a royal family who had access to the Bait Hamikdash. Received his first vision at age 25, and was considered the greatest of all prophets after Moses. He claimed to have seen the throne of G-d.
Yishayahu wrote his own lengthy (66 chapter) book. Famous Phrases: Isaiah 62:5: “Yasis alayich Elokayich, kimsot chattan al kalah” “Like a bridegroom’s rejoicing over his bride, so will your G-d rejoice over you”. This popular wedding song is actually a song about the city of Jerusalem celebrating her “bridegroom”, the nation of Israel, returning to her. Haftorahman’s lesson of the week: We should all be looking forward to the time that Hashem chooses to proceed with the Messianic period as described in this week's Haftorah. 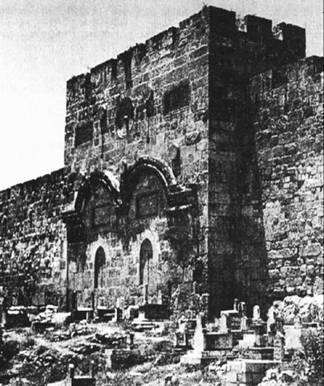 It is said that the Jerusalem will be illuminated with eternal light. And those who choose not to sit in that illumination will sit in perpetual darkness. The eternal light comes from the knowledge of Hashem and His rule. We must strive to seek the truth and acknowledge our faith. Only then, can we feel the light of Hashem and be touched by it. Map: Yishayahu prophesied in Jerusalem. Timeline: The prophecies of Isaiah spoke to the Jews of the Babylonian exile.